This interior is composed of architectural elements from a reception room on the ground floor of Sutton Scarsdale Hall, Derbyshire, England. 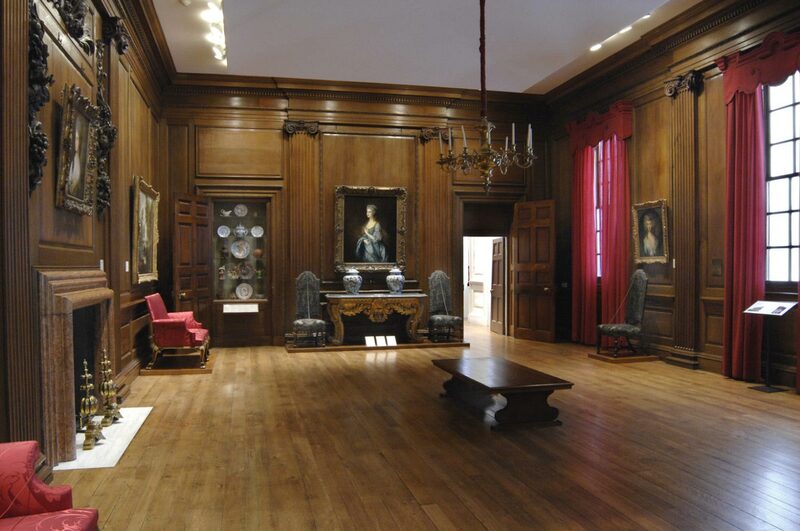 The hall was built in 1724-27 for Nicholas Leake, fourth and last earl of Scarsdale, who hired the architect and master builder Francis Smith of Warwick (1672-1738). 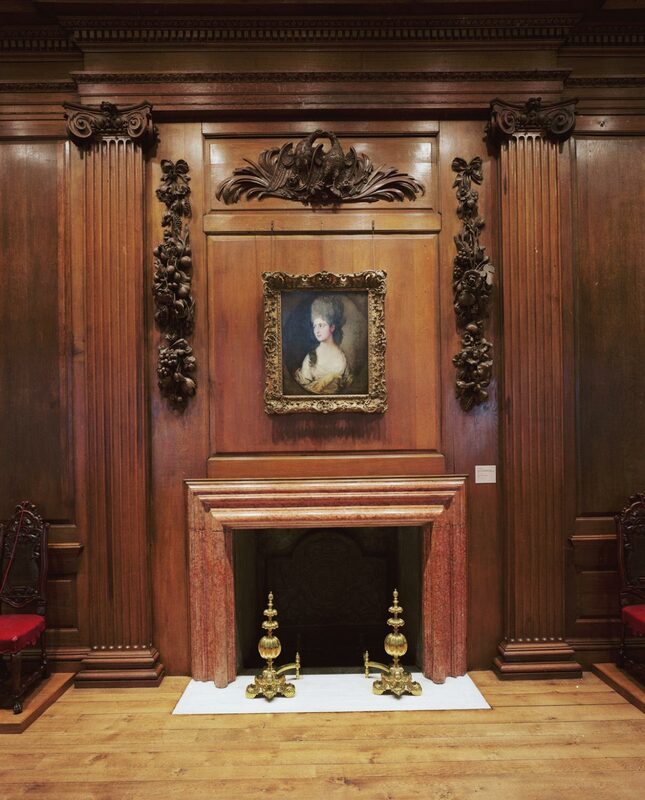 Craftsmen from throughout central England and abroad were brought to the site to finish the interiors, which were notable for their elaborate chimneypieces and stucco ceilings. 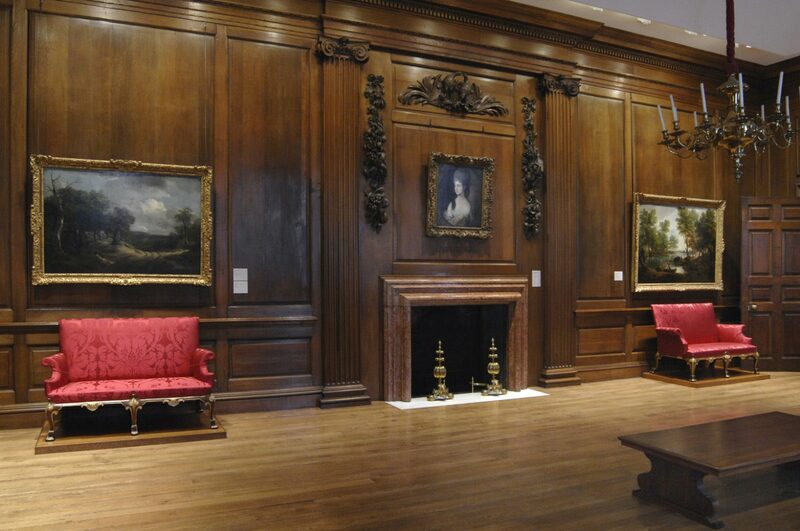 After the earl's death in 1736, the hall had various owners until it was bought in 1919 by speculators, who sold its interiors at public auction. (Today, the house survives only as an imposing ruin.) 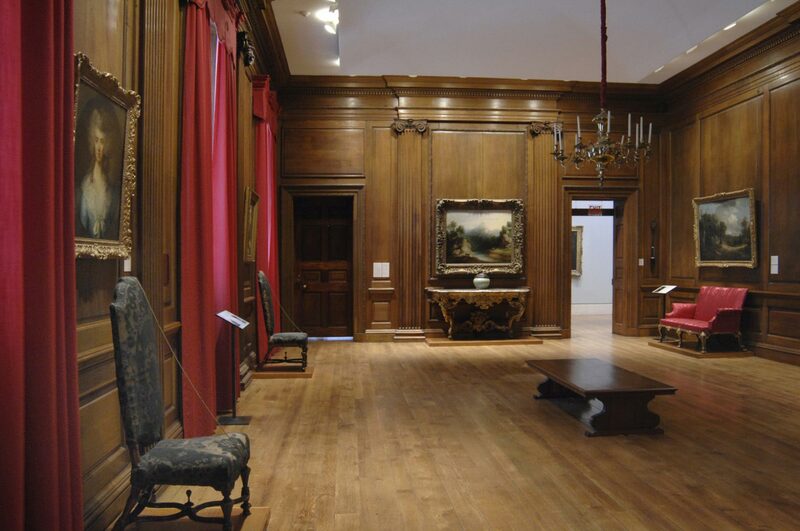 Museum Director Fiske Kimball purchased this room, and two others said to come from Sutton Scarsdale Hall, from the well-known London firm Robersons as appropriate settings for the display of the Museum's important John Howard McFadden Collection of English paintings and other suitable furnishings.